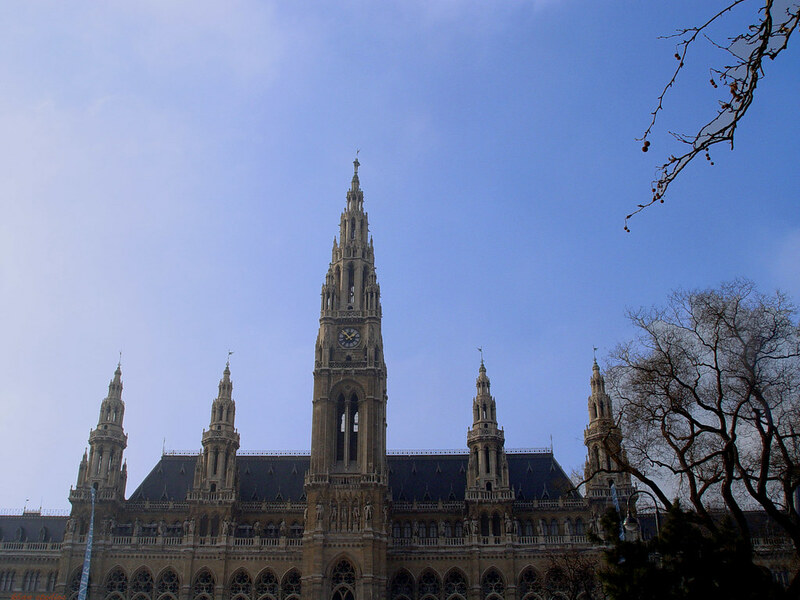 The Rathaus is the City Hall of Vienna which serves as the seat both of the mayor and city council. It was designed (Gothic) by Friedrich von Schmidt and built between 1872 and 1883. The structure is built on #1 Friedrich-Schmidt-Platz, the street named after the designer. 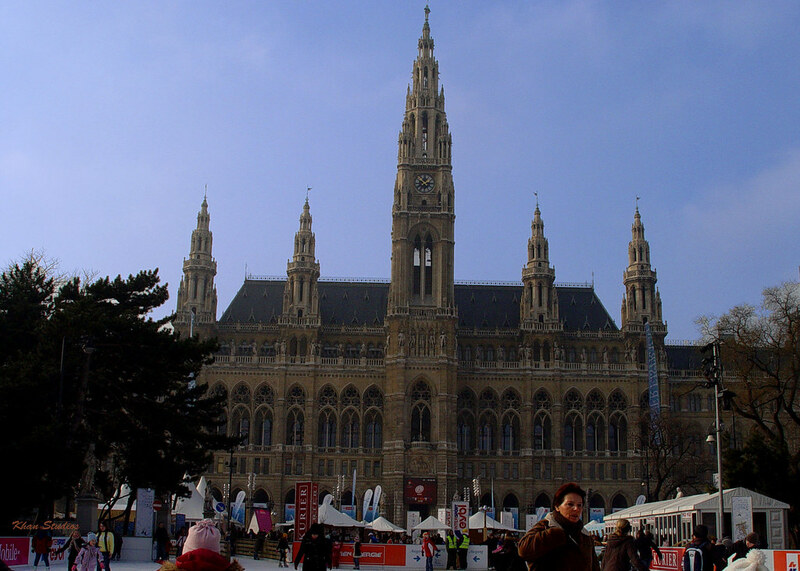 The Rathaus can be found on the other side crossing from the Parliament building. The front lot has been renovated into an ice skating rink where fans of all ages can enjoy ice skating! It is called the Wiener Eistraum (literally: Viennese Ice Dream/Dream on Ice). The 4,000 sq.mtrs rink is open since January 26 and will be open to the public until March 9. What a lovely and magnificent building! Love the idea too of the ice skating rink. I love this place! A great building and always great events taking place in front! Quite old but still impressive Jim. Thanks for dropping by! There are also food stalls at times Pat, like Lara said there are always great events taking there...I hope to cover them especially the night time...If not, Lara will show us =) right Lara? Have a good day everyone! Thanks! Glorious building! Vienna does have a lot to boast about. Can't wait to hop over there! Last year I visited Vienna, I get in love of your city, it's really beautiful, its pretty natural areas and the magic of Mozart and Strauss was everywhere. I broght a lot chocolates Mozartkulgen, is it well written? Hi Valery, check back again I will post the Mozart store soon. I have yet to take photos of mozart's statue =) Thanks for dropping by.